The EUR/USD currency pair continued moving downwards. Today, in my opinion, the price may return to the level of 1.3330 and then form a new descending structure to reach the target at 1.3262. Thus, a correction may be considered completed. 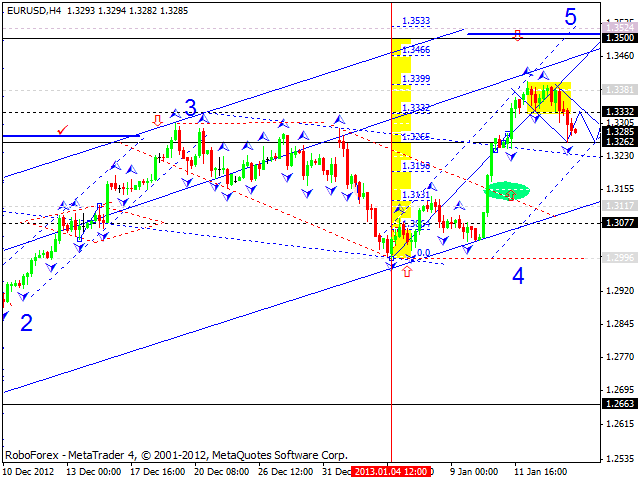 After that, I think, the pair may continue growing towards the level of 1.3500. 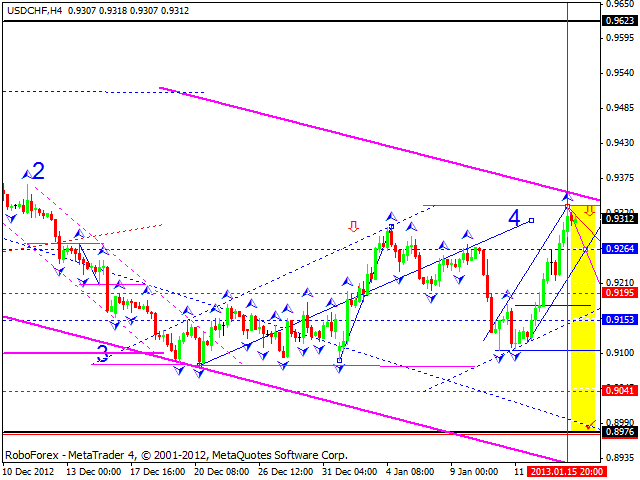 The GBP/USD currency pair continues a correction. Today, in my opinion, the price may return to the level of 1.6080 and then form one more descending structure to reach the level of 1.6010. 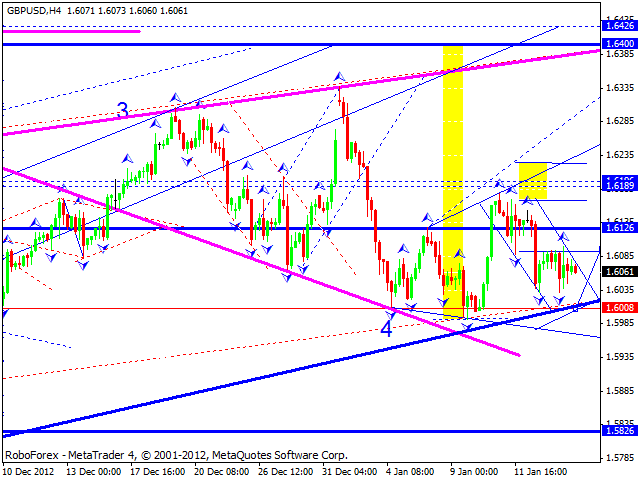 After that, I think, the pair may start a new ascending movement to reach the target at 1.6190. 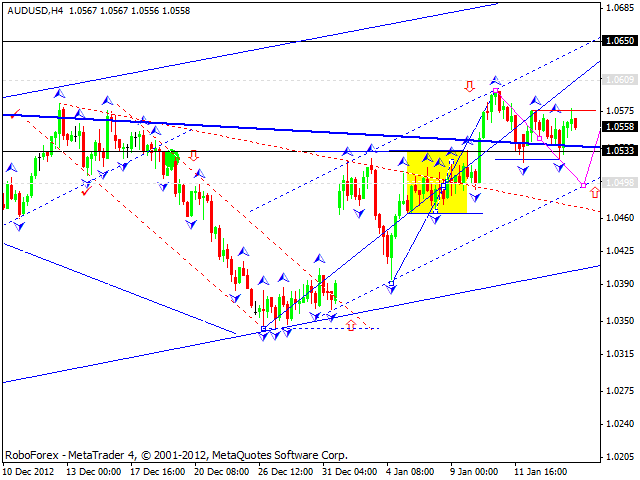 The USD/CHF currency pair managed to form an ascending structure and formed a five-wave correctional wave. I think today the price may consolidate for a while at the current levels and then start forming any type of a reversal technical pattern. The target of the fall is at the level of 0.8980. 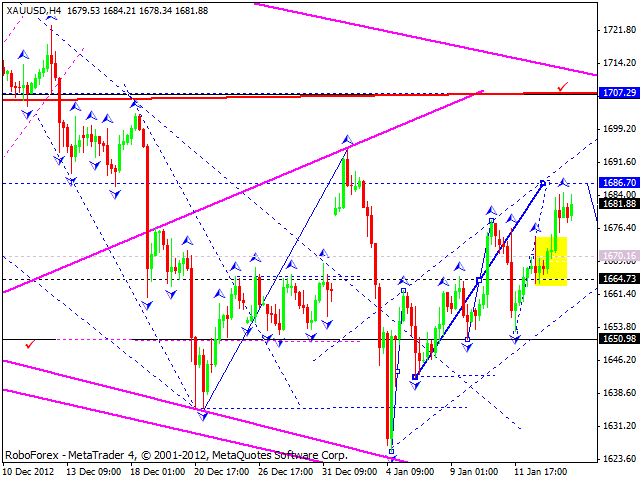 Later, in my opinion, the pair may start forming a new five-wave descending structure with the first target at 0.9195. The USD/JPY currency pair is trying to start a correction. 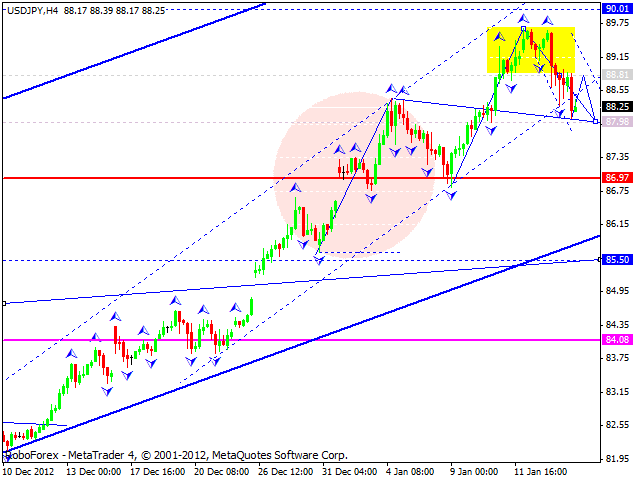 I think today the price return to the level of 88.80 and then form a new descending structure to reach the target at 80. After that, the pair may continue growing up towards the level of 90. Australian Dollar is still moving inside a narrow consolidation channel. If the price leaves the channel downwards, a correction may continue and reach the target at 1.0500; If upwards - the market may reach its main target at 1.0650. Gold continues moving upwards. Today, in my opinion, the instrument may reach a local target at 1690 and then fall down to return to t=he level of 1670. After that, according to the structure of the current wave, the price may form the fifth wave of this correctional ascending movement. The target is at 1707.